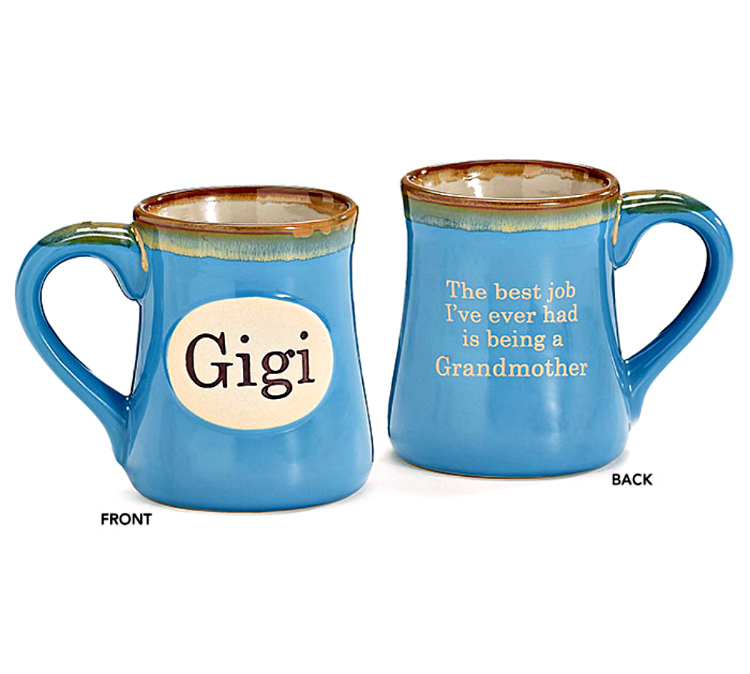 Gigi Mug by Burton & Burton. 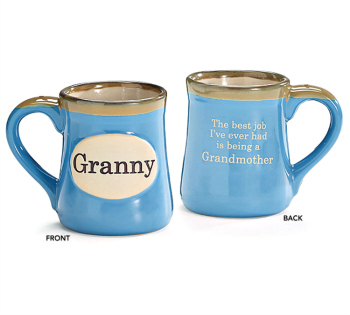 Hand-painted Porcelain with "The best job I've ever had is being a Grandmother" message on back. Comes in Gift Box. Measures 4 3/4"H x 3" Opening. Hold 18 oz. FDA Approved. Dishwasher and Microwave Safe. 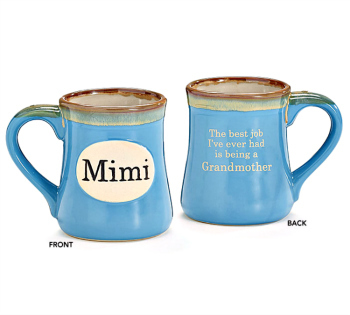 Great gift for that Special Gigi!